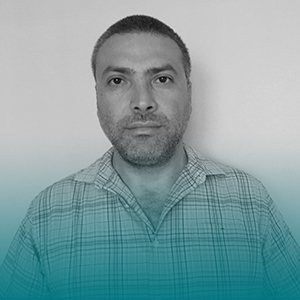 Mazen Jaber is the Human Rights Education Coordinator for the Middle East and North Africa (MENA) and is based at Amnesty International’s Regional Office in Beirut. He leads Amnesty Human Rights Academy in the MENA region where the Academy offers standalone open access to online human rights education courses as well as in-depth blended online-offline journeys for youth activists. He holds a Bachelor degree in Philosophy from the American University of Beirut (1996).